Where The Trails Are (WTTA) strives to provide a useful database of equestrian trails. Keep your eyes here for a growing resource guide. The trails for horse back riding are unfortunately dwindling and it can be hard to find places to ride. 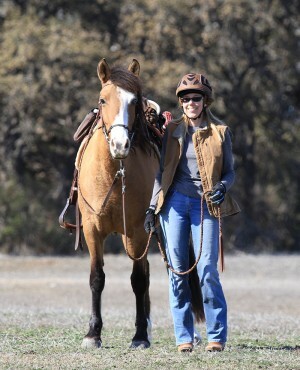 The best resource for knowledge of equestrian trails are the trail riders themselves. It is the hope of Where the Trails Are that riders will contribute information about trails they know with their fellow equestrians. Watch for our articles in The Horse Gazette and “like” us on WTTA’s Facebook page. Help WTTA grow by submitting a trail review to share with your fellow riders! If you would like to contribute information about riding trails then please check out the Submit A Review Tab for more information. You are encouraged to include pictures of the trails, you and your riding buddies on the trail, and of the facilities, but they do need to be at least 800 pixels wide. Getting a shot at the trailhead or facility entrance with you and all your riding buddies always makes for a super photo and helps people know what to look for when they are trying to find the park/ranch. Visit the Trail Reviews Tab to see our new map! Thanks so much and happy trails!